From mid-January 2018 until March 2018, I did simple "deep-sky winter observations", often with binoculars, which might be of interest to other beginners and are therefore described here. 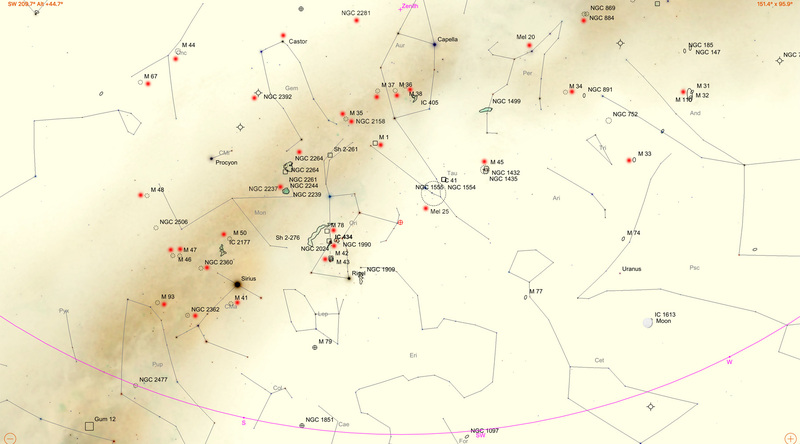 My observations ranged between the Orion in the East to Andromeda, Cassiopeia, and Hercules in the West. I mostly "hunted" for objects that can be observed with binoculars. A few observations were conducted in Kellinghusen and Erkerode (both located in Germany). The sky above Kellinghusen is considerably darker, and the one above Erkerode is in any case better than the one above Mühlhausen. OS: M 35, M 36, M 37, M 38, M 45, NGC 884/869 All objects seen well in the telescope. OS: M 35, M 37 Everything seen well. 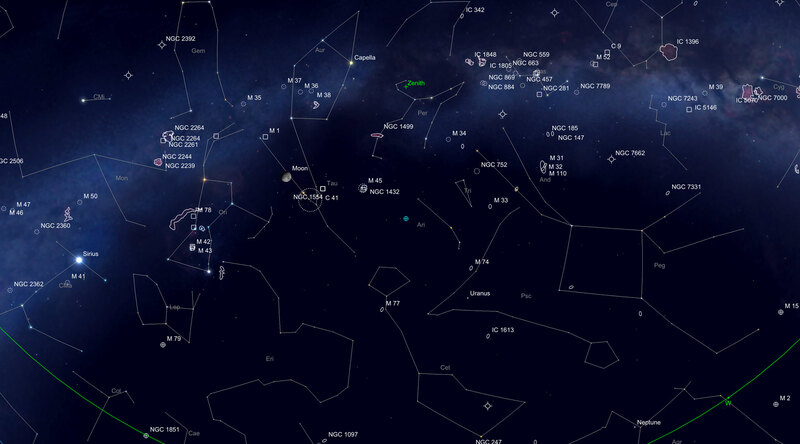 All the star maps were created with SkySafari Plus/Pro for Apple Macintosh.